Have you ever been hurt or insulted by anyone? As part of life, it is inevitable for people to hurt us and it is also a natural response for us to strike back negatively. Do you know that a large number of people struggle to be healed from hurts, insults, verbal offences? Please, do not contribute to hurting others. Humbly apologise to those that you have hurt, never find a justifiable reason not to apologise. So, what do you do when someone offends you? 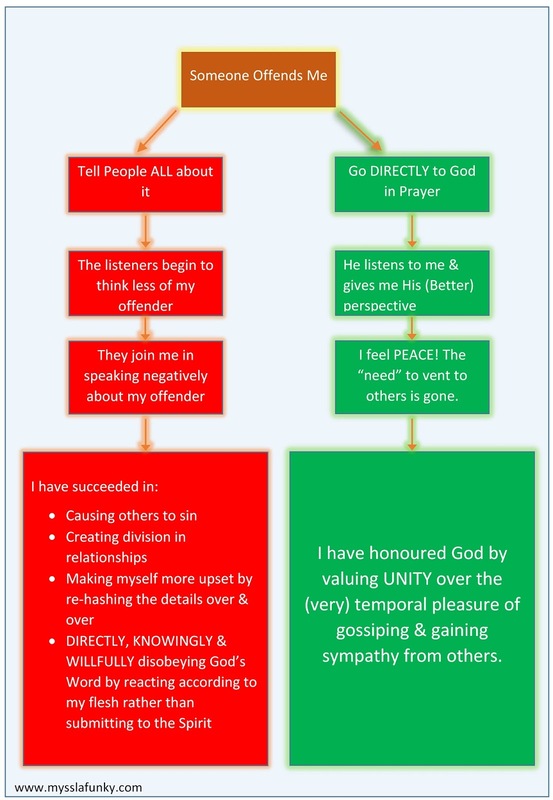 I found the image below (adapted for www.mysslafunky.com) very useful when managing any hurt, insults and offences. I hope you will find it useful as well. Credit goes to the anonymous author. Help me to bless those who curse, hurt and insult me. I naturally cannot bless them, Jesus, I need you to teach me how to bless those that hurt me. Watch out for Part 2 next Monday!